Reingard M. Nischik is Professor and Chair of North American Literature at the University of Konstanz, Germany. She is among the pioneers of Canadian literature studies in Europe, with her first article on CanLit published in 1981. Her numerous books include Gaining Ground: European Critics on Canadian Literature (ed. with Robert Kroetsch, 1985), Margaret Atwood: Works and Impact (2000; Best Book Award of the Margaret Atwood Society),The Canadian Short Story: Interpretations (2007),Translating Canada: Canadian Literature in German/y (ed. with Luise von Flotow), and History of Literature in Canada: English-Canadian and French-Canadian (2008), all published, with international contributors, in North America. Her most recent monograph, Engendering Genre: The Works of Margaret Atwood (2009), is about to be published with the University of Ottawa Press. 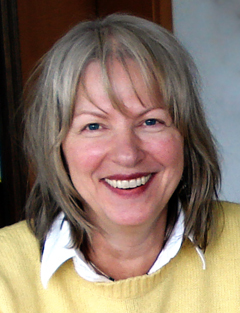 Nischik was managing co-editor of the tri-lingual interdisciplinary journal Zeitschrift für Kanada-Studienfrom 1992 to 2005. As to teaching, Nischik is a recipient of the Baden-Württemberg Teaching Award and has to date supervised some twenty doctoral theses at the University of Konstanz, in the area of Canadian Literature, American Literature, and Comparative North American Studies. Sarah Banting is a PHD student at the University of British Columbia. She is interested in the genres and stylistics of writing place in Canadian fiction and theatre. Sarah Banting: So I’m sitting here with Professor Reingard Nischik, who holds the distinguished position of a Chair in American Literature at the University of Konstanz in Germany. She is credited with having been one of the pioneers—and being now one of the leading scholars—of Canadian literature studies in Germany, and in Europe more generally. For a number of years she held an editorship of a German-language, interdisciplinary journal in Canadian Studies. [Among many other works,] she has edited a prize-winning book on Margaret Atwood’s works and impact, as well as contributing important chapters to that volume. In the last two years alone, she has published two major edited collections of literary history and scholarship, namely,The Canadian Short Story: Interpretations and History of Literature in Canada: English-Canadian and French-Canadian, as well as co-editing a volume entitled Translating Canada, which collects critical work on the motivations, contexts, and effects of the translation of Canadian literature into German. Professor Nischik is visiting Canada on the occasion ofCanadian Literature‘s 50th anniversary Gala, and she has graciously agreed to meet with me here in downtown Vancouver on a beautiful fall evening—although chilly—to speak about her work and about international scholarship on Canadian literature more generally. So, I’d like to welcome you very much to Vancouver! Reingard Nischik: Thank you very much. SB: I thought, perhaps, you wouldn’t mind commenting on the origins of your own personal and scholarly interest in Canadian literature. RN: —in 19—that must have been in 1978-79. And I spent a whole year, here in Vancouver, and that really made me a Canadianist. Because it turned out, eventually, that I think close to fifty percent of my text examples originated from or belonged to Canadian literature. But as I say, not really in the context of a national literature or identity questions, but really in the context of it being good literature, and which you could deal with in the context of questions of narrative. I was very much a narratologist at the time, more so than I am today, really. And this is how I became a Canadianist: via the comparative literature approach. And my first professorship also was a comparative literature professorship. And then, the older I got, the more specialized my professorships got, and, yeah, now I am at the University of Konstanz. Doing, officially speaking, American Literature—that’s a very, very long story—but you know, unofficially I do North American literature, with a strong focus on Canadian literature, as far as research goes; but with respect to teaching, I also deal with American literature a lot. SB: And would you, would you say that you’ve preserved an interest in a comparative reading of narrative works? RN: [laughing] —if it’s not focused on Canadian literature from the beginning. SB: Well I recall reading in some of your writing, for example about the development of the short story in Canada, the ways that you make your readers aware of the sort of comparison of its evolution, with occasional looks to the U.S.
SB: —body of work, there’s the sort of background awareness of an international context that comes through. RN: And you know, another reason for that being so, is, well, the institutional conditions in Germany, concerning Canadian literature. In all of Germany there is not a single professorship designated as Professor of Canadian Literature. RN: Not even [often] North American Literature. It’s usually American Literature, and as I said then we have to smuggle it in, and this is how we always have—or I always have: this kind of comparative view. So it’s also an institutional reason for this to be the case. SB: So among the works that I listed in my introduction was the book on Margaret Atwood, and I wondered at what point in your investigations of Canadian literature, and your growing interest in works from here, you sort of began to notice Margaret Atwood and pay attention to her. RN: —Well, I was speaking about this historical moment, as I like to call it, because that was on a day when Robert Kroetsch was visiting Cologne, where we sort of had the idea, or discussed the idea, of putting together a collection of essays by European critics on Canadian literature. So Kroetsch was at the seminar, and then we had a coffee or some snack afterwards, and I had to get away from that date pretty soon, because there was Margaret Atwood reading in the main library in Cologne! And this was when I first met her, personally—well, but from a distance of course, I didn’t talk to her. And at the time, the audience in Cologne was not that large yet, but she came back again and again, and nowadays she only visits the big cities in Germany, like Berlin and Hamburg and Munich. I don’t think she would even come to Cologne anymore. SB: —as you of course know! And I wonder if your return to publishing about Atwood in book form marks a new set of interests on your part in her writing, or if it’s a continuation of some of the things that interested you earlier. SB: [laughing] I notice, um, that this forth—well, out—coming book? Is it now in print? RN: Well, it will appear, actually, in the “month of entry, month of descent,” as Margaret Atwood would call it—that’s her birthday month, of course—so it will appear in November. This year. SB: —and the books whose titles, the titles of which!, I mentioned in my introduction are all published with Canadian and American presses. SB: —does that inform your approach or your writing? RN: Yes… Well, I think again that one develops, one takes steps in one’s development, sometimes conscious, sometimes not so conscious, and I think it makes sense that when you are a scholar in Germany and trying to find your place in academia—which is not easy, of course, because there are very few professorships in Germany compared to North America, for example—I think UBC has forty-one professors of English, American, and Canadian literature and Konstanz, we have more students, but we only have three professors. So I’m one of three. So, when you try to find your place in such an institutional context, you probably start out writing in German, because then you are published with German publishers, which is probably less difficult than to be published internationally, with Canadian or American publishers. So I started out a little bit publishing in German, but since I’ve always taught in English right from the beginning—I think, you know, if students deal with English or American or Canadian literature, they should also, being Germans, learn the language—and you do that best, of course, by using it, and speaking in English about literature. So I’ve always taught in English, and so it only made sense that very soon then I started to write in English as well. Yeah. Well, I think the first book I published in Canada was the one with Kroetsch [Gaining Ground], and then, well—it’s actually a very good question, the one you put, but I think that we as Germans, well I as a German, publish in English because I want my work to be read not only by Germans. I mean, if I deal with Canadian literature and American literature, of course, then my immediate colleagues are also in Canada and the United States, and if I write in German I would write myself into a niche, so to speak, or into a corner. So, nowadays I publish my books only in English and practically only with North American publishers, and by now I do this very much consciously. SB: Well, it’s—, for a scholar like myself, who writes only in her native language, it’s such an impressive oeuvre. I wondered, and not to put this in uncomfortable terms, but maybe since this gathering for the Canadian Literature Gala is drawing scholars, like yourself, from the international world as well as local ones, if we could speak a bit about the relationship of the scholarly community abroad to the scholarly community in Canada. SB: —perhaps eventually we could talk about what the position of a critic from abroad, what that might offer, in terms of a privileged view or a special view, but more generally too. RN: —or new aspects. I think, to some extent, perhaps, Canadians—first of all, to put it that way, Canadians are still sometimes a little bit surprised to see or to become aware to what extent Canadian literature has become an interesting discipline abroad. And we are sometimes surprised ourselves to see how surprised Canadians are! [laughing] But on the other hand, the fact, for example, that you invited me for this Gala event shows that you are aware, after all, that Canadian literature nowadays is a global event, a global discipline, and that more and more countries, associations, scholars, not only take note of Canadian literature but also make it sort of a central issue of their research, and teaching, to some extent. And to come to the other issue, what non-Canadians maybe do differently from what Canadian scholars do when they deal with Canadian literature, I do see some differences there. And to some extent that can be traced back really to Gaining Ground again, because one of the reasons why Kroetsch and I didGaining Ground at the time was not only that we happened to meet each other in Cologne and got talking and drew up this idea to edit this book together, but also that we found, even at the time, and to some extent I think it’s even true nowadays, that the approach to Canadian literature is different, from inside Canada, compared to from outside Canada. One difference I see is that Canadians, really going back to Atwood’s Survival to some extent still, of course—of course!—use their literature also as a way of seeing yourselves, right? What does it tell us about our own culture, what are pressing problems, what are the main themes, the different kind of ethnic groups who, which have come to the foreground, etc. Whereas we from abroad, let’s take Germany as an example, we do that of course also to some extent because when you try to introduce a new national literature to your students you also ask the question, well, what is idiosyncratic about this literature, what is Canadian about Canadian literature. But we’ve never done this to a similar extent as Canadians did, especially during the period of thematic criticism, you know, where we really got a little bit frustrated, abroad, about this kind of approach—because it did away, for us, with almost anything which is interesting about Canadian literature apart from themes, you know: whether this is good literature, how it is written, from which narrative point of view and in which style. And I think, because English for us, for me, is a foreign literature, we are very much aware of style. Because we have to grapple with the language everyday ourselves we are, I think, very, very style-conscious. So one very important approach we take to Canadian literature is, well, the narratological perspective. We are very much interested in structure, and in style, and also in a comparative approach to Canadian literature. And, I would argue, altogether more so than Canadians are. When I look at the last issue ofCanadian Literature, for example, that proves my point to some extent because it’s titled “Strategic Nationalisms.” You have to do it that way, in a way, I mean, it’s your literature: you are surrounded by it, it affects you much more personally than it does us as foreign scholars. We are not affected by it personally. We study it from a greater distance, and thereby we tend to see different things. And I don’t want to evaluate, at all, that one is better than the other! It’s just I think a very fruitful kind of complementary kind of approach, which—and I think I will also argue this during the conference, at least at some point, when I give my paper—which could, perhaps, also be combined more often in order to sort of be fruitful in a two-sided way. I think we can both learn from each other. Of course we can learn more from you Canadians, but I think to some extent also the exo-Canadianist perspective, the perspective on Canadian literature from abroad, also has something to offer. SB: —and your new book really engages with work with genre, and, you’ve already said, the flexible, perhaps genre-bending work of one particular author. But before we leave the topic of these international scholarly conversations, I perhaps would just remark that one of the abilities you have as a scholar, from your perspective and from your depth of learning, is, it seems to me, in your writing to occasionally point to Canadian work as a genre. So I read, in some of your work, you talk about the occasionally—about the Canadian short story as a genre in itself, or its coming into being as a genre, or elsewhere in your discussions of the novel written in English language in Canada, its coming into being, especially lately, as a genre that deals, in the case of your discussion, with sort of transcultural identities and things. Would you be willing to comment on your conception of genre in that sense, the possibility of framing works within a national genre? SB: Sure! Yes, thank you. And if you’re not exhausted of the topic of genre—it’s a personal interest of mine as well—would you be willing to speak briefly again about your conception of genre, especially in your book about Margaret Atwood’s writing? RN: Yes. Well, genres are nothing for all times. But they are bounded to specific time periods and to specific locations. So they are also of course subject to change, and I think Margaret Atwood is a perfect writer to investigate such issues. Because to some extent, of course, genres are convention-bound, but only to some extent, because you can bend these borderlines and Margaret Atwood does so all the time. And she does so within a Canadian context but she also does so within a context that goes beyond Canada. For example, in her shorter fictions, she re-writes Baudelaire. Or she gets into inter-textual dialogues with Shakespeare, she gets into inter-textual dialogues with the format of the dramatic monologue. She keeps extending generic boundaries all the time. So that when you write a book about genre in connection with Margaret Atwood, you have to re-define the term all the time! [Genre] is a text format which can be defined to some extent, which is convention bound, but Margaret Atwood can never be pinned down. [chuckling] You always have to be flexible to follow her along. And she’s usually way in front of her critics. SB: And often way in front of me! But I remember just recently finally reading The Blind Assassinand noticing the way that she works with several different genres within that book, weaving in a sort of science fiction telling and these multiple layers of story-framing, within one text. So, quite a marvelous writer. RN: Yes, exactly. You can be very proud of her. You can be very proud of having Margaret Atwood, but also of having so many other wonderful contemporary writers. And you should never be surprised again, no Canadian should ever be surprised again, that international scholars, scholars from abroad, take a large interest in your literature. SB: Well, I think we all appreciate that attention, and value the scholarship. I’d like to thank you very much for meeting and speaking with me today—it was such a pleasure. And welcome again to Vancouver! And enjoy the conference. RN: Thank you very much. And thank you for finding me here, in this beautiful hotel with this beautiful view.